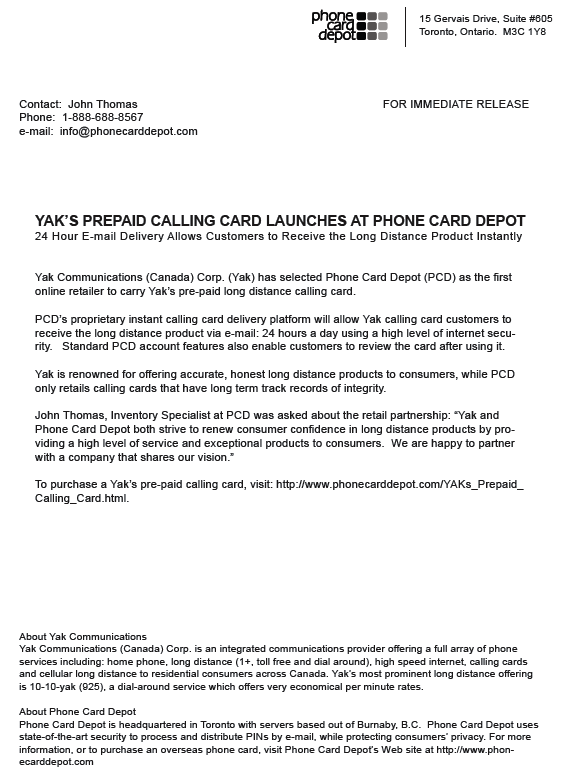 Yak's Prepaid Calling Card is Now Officially for sale at Phone Card Depot. See the official press release below. 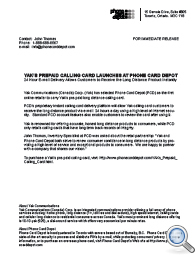 This new card will be a success with our customers that are looking for a consistent quality card from an honest company with exceptional customer service. Click to view the original press release.